From left to right: Amelia Earhart in Electra, Amelia, Amelia as a little girl, Amelia in Ireland, Capt. Harry Manning, Earhart's Electra 10E, Earhart & Noonan, Electra crashed in Hawaii, Earhart's Lockheed Vega 5B, Group: Mantz, Earhart, Manning and Noonan 1939. 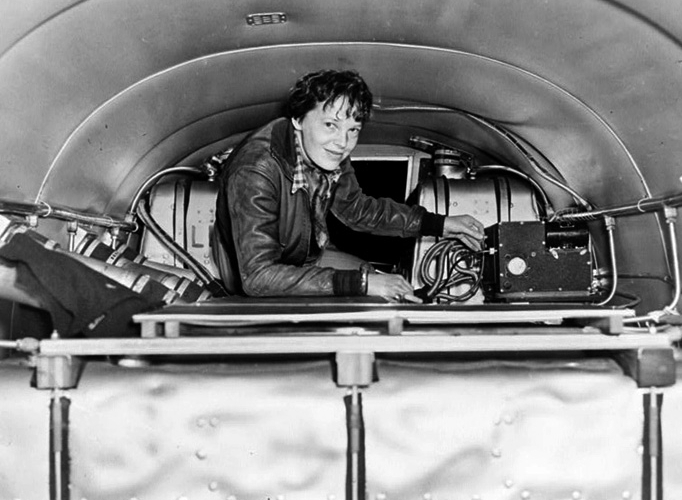 Amelia Earhart is one of the most famous aviators in the world and she flew into the history books in July of 1937 when she and her navigator, Fred Noonan, took off from Lae, Papua New Guinea for Howland Island. They never made it. Come with us on part 1 of this 2 part special while we take you back to what her life was really like in the years leading up to her vanishing. There are dozens of theories about Amelia's disappearance, most of which don't hold water, but there are three or four that any one of which proven true would make for one of the most fantastic tales ever told. 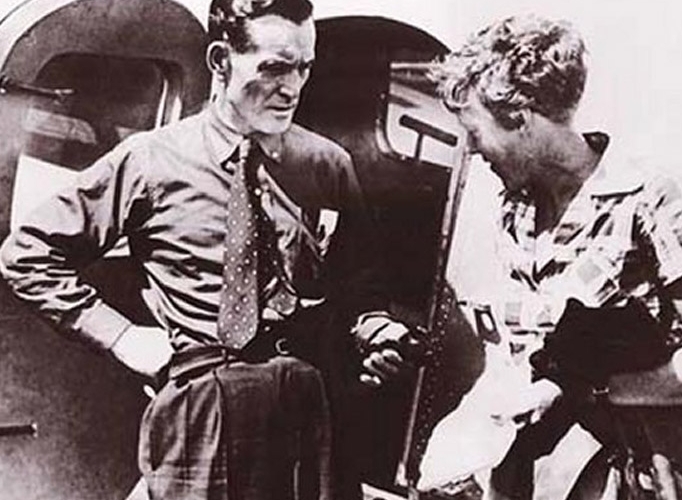 This episode is about aviation's most famous disappearance of all time, Amelia Earhart. Interesting Facts: Contrary to popular belief, Amelia was considered by many, including close friends, not to be a great pilot. Paul Mantz supposedly cited pilot error after their failed take-off in Hawaii (he later died of pilot error himself). Her lack of finesse was also apparent on various occasions when she would compete in air races and finish far in the field with a bouncy landing in front of all the spectators. No one on Earth ever doubted her courage, however. Interesting Facts: Noonan had reportedly wanted to open a navigation school and saw his participation in the circumnavigation as a way to generate interest. Unfortunately, he was lost at sea. Youtube Video showing Paul Mantz's final fatal accident. Interesting Facts: Paul Mantz became a movie stuntman and died filming 'Flight of the Phoenix'. Episode 004 - 'Amelia Earhart Vanishes (Part 1)' Produced by Scott Philbrook & Forrest Burgess, Ryan McCullough Sound Design, Scott Philbrook Editing. Copyright Scott Philbrook & Forrest Burgess 2014, All Rights Reserved. photo sources: Public Domain or Fair Use unless otherwise indicated, 1) Amelia in aft cabin with radio looking out over fuel tanks, 2) Amelia c. 1928, 3) Amelia as a little girl, 4) Amelia and her Lockheed Vega 5B after landing in Ireland, 5) Capt. Harry Manning in the SS America Chart Room, Smithsonian Institution, 6) Earhart's Electra 10E, 7) Earhart & Noonan on Circumnavigation, 8) Earhart's crash on first attempt in Hawaii, 9) Earhart's Lockheed Vega 5B at the Smithsonian by Sergio Citagirone (CC by SA 3.0), 10) Mantz, Earhart, Manning and Noonan, March 17th, 1939 just prior to first attempt take-off from Oakland for Hawaii where the trip would end.